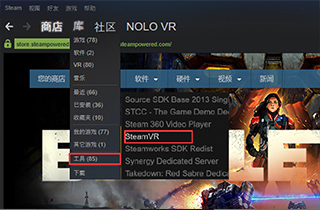 Note：For the first time using NOLO USB mode with PC VR, please complete the software and hardware configuration. 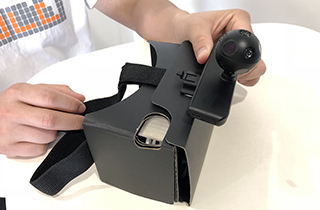 Once RiftCat&VRidge settings are completed or the first-time configuration is done, and the phone is connected to the PC via 4-meter SteamVR USB cable, please skip to Step 4. Step 1: Preparation 1. Learn about the NOLO CV1 button settings – please refer to the following picture. 2. 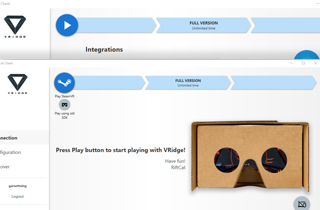 Related Software: Steam – Download and install Steam and Steam VR software on PC. 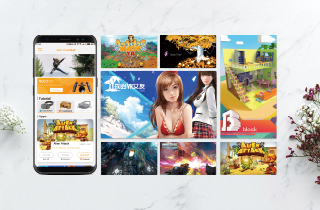 Purchase and install the VR games you like. 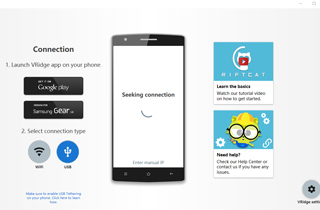 RiftCat – Download and install RiftCat desktop client and VRidge mobile app from NOLO official website: https://www.nolovr.com/getstarted, and install them on PC and smartphone respectively. 3. 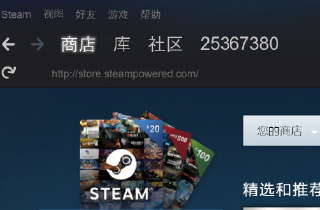 Download Steam & SteamVR : Steam – Download Steam platform from Steam official website http://store.steampowered.com//. 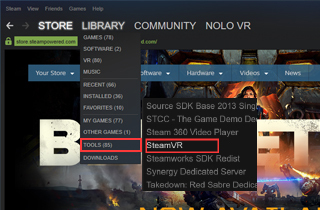 SteamVR – Click “Library”, then select “Tools”, then search for “SteamVR” and install. 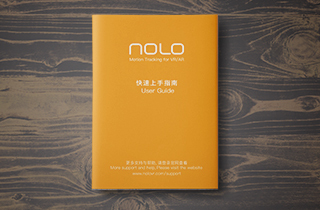 Step 2: Start With NOLO Assistant 1. 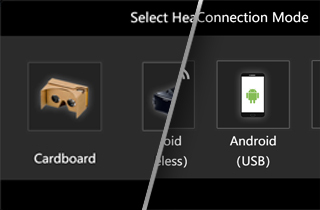 Select your device as “Cardboard” in NOLO Assistant, then select the connection mode as “ Android USB”. 2. 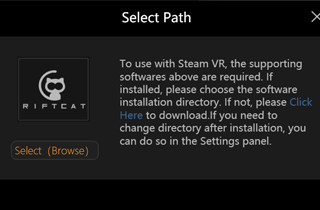 Click “Start Game”, RiftCat will launch automatically if installed. If not, please refer to the next step. 3. 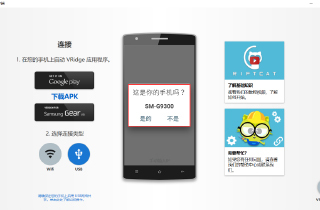 If RiftCat is not installed, or the installation path has been changed. 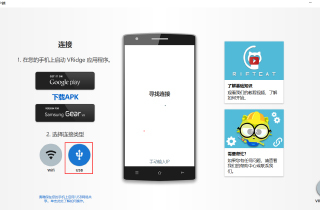 Please click “Start Game” and select the correct path of RiftCat client, or download RiftCat client and VRidge app from the link provided by NOLO Assistant. These two software need to be used with specific version. 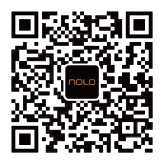 Please download from the link provided by NOLO Assistant if possible. Step 3: RiftCat Configuration 1. Launch VRidge on the phone after RiftCat is running. 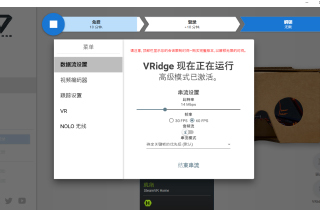 If VRidge is not installed, please donwload and install it from NOLO official website：https://www.nolovr.com/support/. 2. 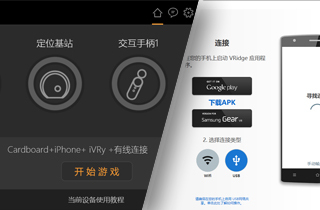 Connect the smartphone to the PC via USB cable, some smartphone will ask for the permission of data connection, tap “Allow”. If not, please go to the next step. 3. 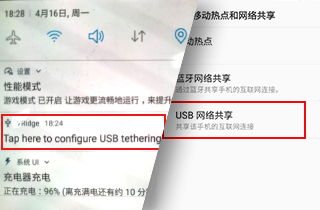 Slide down the status bar of the phone, if USB connection setting appears, enable USB tethering funtion. 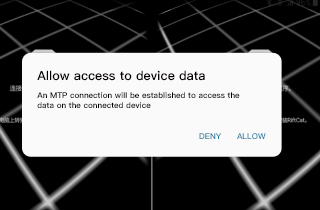 If not, please enable the USB tethering in phone settings manully. 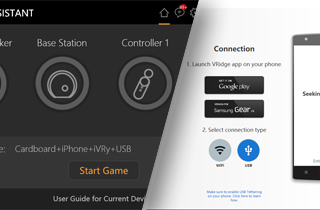 Then return to the VRidge app with the USB cable connected. 4. 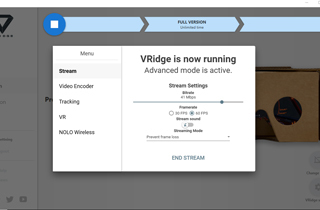 In the RiftCat desktop client, choose USB option, RiftCat will automatically detect and connect to the smartphone with VRidge running. 5. 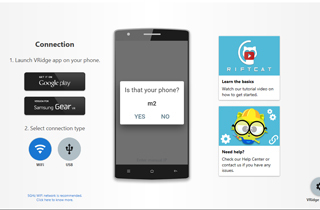 While the PC detected the smartphone, a pop-up will appear and ask whether it is your phone. 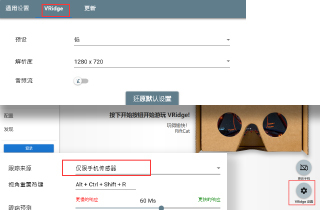 If the phone name is the one that supposed to play VR games, simply tap “Yes”. 6. 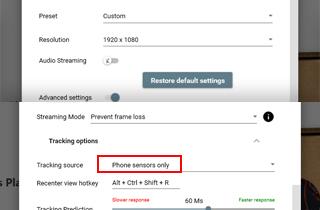 Click the “VRidge setting” on the lower right corner of RiftCat client, enable “Advanced settings”, then choose “Phone sensor only” in “Tracking Option”. 7. 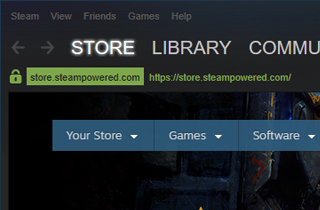 Move the mouse to the Play button on the upper left corner, the icon will change to be appeared as Steam icon. 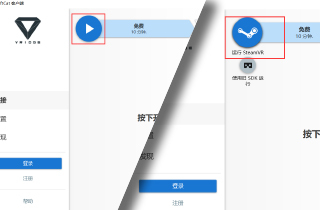 Click on the icon to launch Steam and SteamVR. 8. 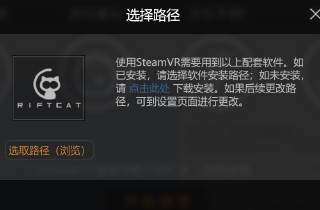 After launching SteamVR, please follow the Steam room setup guide to complete the room setup if it has not been done before. Next, let’s move to the hardware configuration. Step 4: Hardware Configuration 1.Turn on the Base Station: Place the Base Station horizontally on the outer edge of a stable and flat surface. 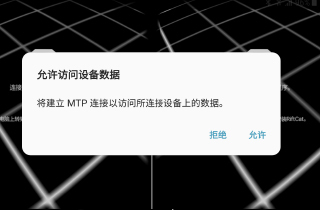 Do not move the Base Station while playing. 2.Turn on the Controllers: The LED lights on the Controllers should be solid green. i. Attach the Headset Marker mount in the middle on top of the headset. ii. Then insert the Headset Marker onto the mount. iii. 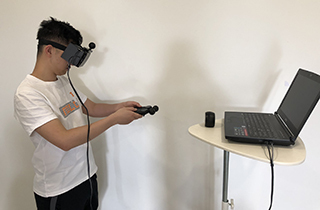 Connect the Headset Marker to the PC with the 4-meter SteamVR USB cable. i. 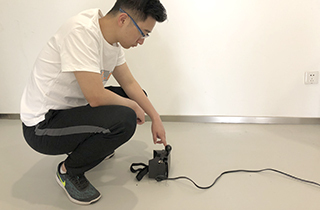 Place the headset (with the Headset Marker mounted) on the floor directly facing the Base Station; the distance between the Base Station and the headset should be at least 2m (with no block in the middle). ii. 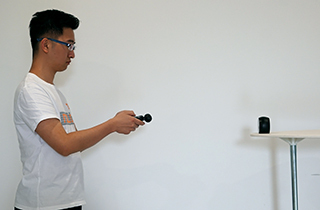 Press the pair button on the Headset Marker, the height calibration will be finished automatically. i. Keep the Headset Marker and the Controllers directly pointing to the Base Station. ii. 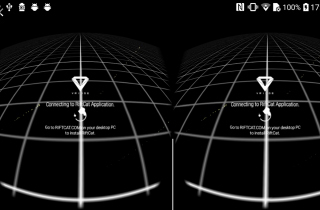 Double-click the system button on each Controller to calibrate the reference direction. 6. Setup is now complete! 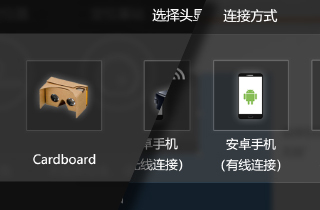 Welcome to the exciting and joyful VR world! 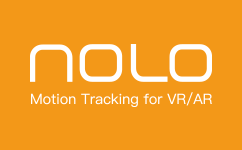 If you enjoy both the immersive experience of PC VR and the portability of Mobile VR, please go ahead and download NOLO HOME, where extensive 6-DoF Mobile VR games will be available for you.